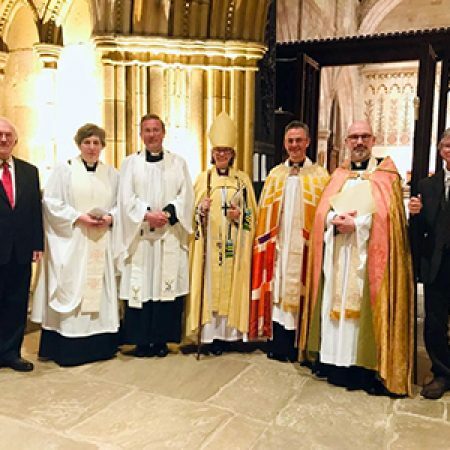 On the evening of 01 April 2019, in a church filled with parishioners, clergy, friends and family, the Revd Nicholas Mercer was installed as the new Rector of Bolton Priory. 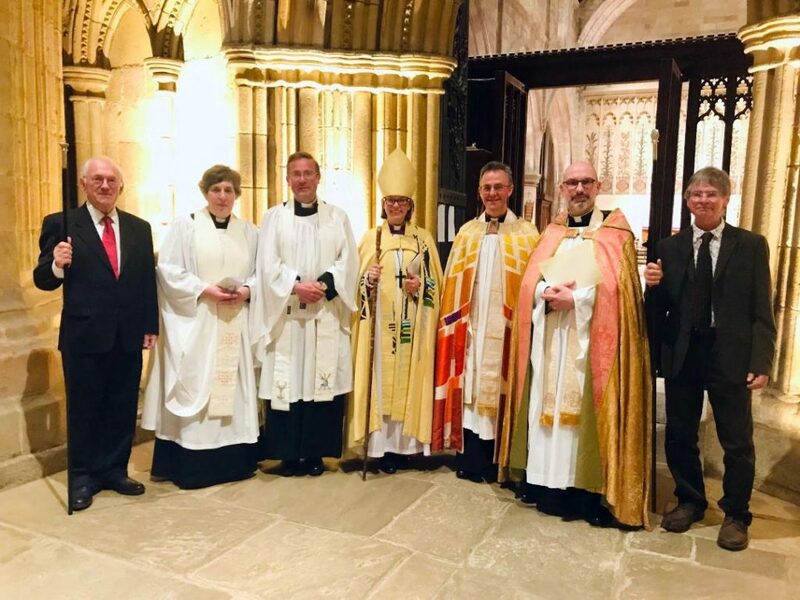 The service of Institution was led by The Rt Revd Dr Helen-Ann Hartley, Bishop of Ripon, with the Induction and Installation conducted by The Venerable Jonathan Gough, Archdeacon of Richmond and Craven, and assisted by Revd Ruth Harris, Area Dean of Skipton Deanery. During the service, a letter of commendation from a former parishioner was read out, namely Mrs Emma Phillips, wife of Nigel Phillips CBE, Governor of the Falkland Islands, which, together with South Georgia and the British Antarctic Territories, was Nicholas’s former parish. After the service, refreshments in Bolton Abbey Village Hall provided a more informal opportunity to meet Nicholas and his family.